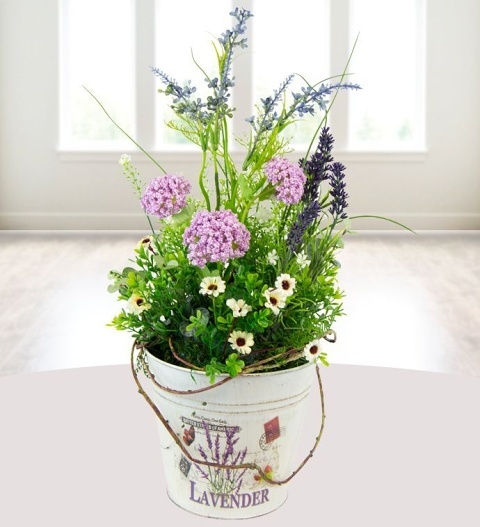 Our Summer Delight arrangement is a dashing arrangement of handmade silk flowers representing muscari, daisies and lavender. The detail of our silk flower range is incredible, you wouldn&apos;t know that these flowers weren&apos;t alive! Perfect for all occasions and no care needed: the Summer Delight arrangement is presented in a stylish pot and is available for UK next day delivery.